Being a client :centric entity, we are engaged in offering Solid Liquid Reactor. Our business is based in Maharashtra, India. Our professionals precisely engineer it with the aid of the premium grade materials and modern machines in tune with the set industrial standards and norms. We are renowned for making timely deliveries of our consignments even if the client places a bulk order. Our clients can avail it at the leading market rate. Details : We are one of the leading manufacturer and supplier of Solid-Liquid Reactor. These reactors are precisely engineered and are widely used in various industrial units. The Solid-Liquid Reactor offered by us are largely preferred by our esteemed clients for their facial appearance. 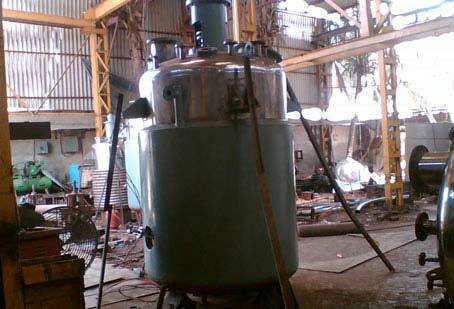 We also offer customized Solid-Liquid Reactor as per the necessities of our clients. Our range of Solid-Liquid Reactor is manufactured using high quality raw material in compliance the international quality standards.